Previous: Previous post: Do You Make Your Team Better? A great quarterback on the football field, and a great point guard on the basketball court “see the field.” In the midst of a lot of flailing arms and legs; crowds roaring; and people yelling at them, they can slow down the action and make the play. My football career was limited to a backup quarterback in junior high. My best friend was the starting quarterback (he later went on to play in college, so I guess it was the right call). He got to practice behind the first-string offensive line against the second-string defense. I was just the opposite. My protection were guys who were just learning to walk and chew gum at the same time. My large and aggressive friends were on the defensive line waiting to attack me. I remember dropping back to pass in practice. I would take my drop and start to survey the field. I knew there were receivers out there somewhere, running a pattern that I had called in the huddle. But all I saw was big guys with big arms chasing me all over the place. I ended up running for my life more often than not. I wasn’t talented enough to be able to stay calm in the pocket; move around as needed; and see the entire playing field. Crisis management is like that in business. 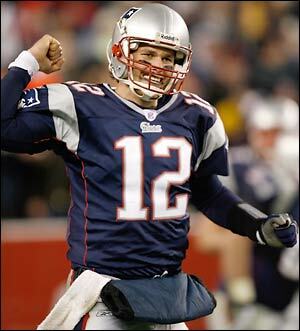 When crisis happens (and it will happen) are you running around like Dan Weedin at North Whidbey Junior High, or are you cool like Tom Brady? Would I get the same answer from your management team or employees? 1. Coaching. Tom Brady has a coach. In fact, he has several – Head Coach, Offensive Coordinator, Quarterbacks Coach, Strength & Conditioning Coach. You may have all the talent in the world, but if you can’t maximize it, you are just another quarterback. Coaching maximizes talent for athletes and it does so for business leaders. You know your business. You probably need help in other areas. Get good coaching on how to avoid, respond to, and manage crisis. 2. Vision. For Quarterbacks, this tends to be a physical feature. Yes, you can be trained, but there is an innate ability for the great ones to see the field with tremendous vision. For business leaders, the vision is in your head and it is also innate. You got to where you are by being visionary. In my experience, that is the common trait that employees use when describing their successful boss. However, when it comes to managing crisis, being visionary is tougher. If you don’t understand your vulnerabilities or the consequences, it’s tough to understand how you react. In this case, vision needs some homework. Learn your organizational vulnerabilities. Communicate and learn from your team. Decide in advance how you will handle a crisis. Make the decision before the decision needs to be made. 3. Practice. You’ve probably heard it said that becoming a rock star in your field takes 10,000 hours of “practice.” Tom Brady, Aaron Rodgers, Magic Johnson, and John Stockton all put in extra hours on the field, on the court, and in the gym. It shows up when they play the game. How often do you practice crisis response? When was the last time you tested your insurance? How do you know your team will respond well to crisis if you’re not there? Practice is essential to being a tremendous player and seeing the field. It is also essential to you being able to survive a disaster. Leadership means more than looking good in the corner office. It involves powerful communication skills, courage, vision, and humility. It also means that you have the understanding that the future of your business, its people, and your supply chain are counting on you to be Tom Brady. When you are facing an all out blitz, can you make the right read and complete the pass on 4th down? You may not be on a football field. You may instead be dealing with an issue that determines your business continuation and survival. Are you prepared to be Tom Brady? 11.09.10 at 4:51 pmJim U.Tom Brady has has two dozen Big Johnson and Co-ed Naked shrits out of the deal.